The neural basis of human memory is incredibly complex. We argue that the diversity of neural systems underlying various forms of memory suggests that any discussion of enhancing ‘memory’ per se is too broad, thus obfuscating the biopolitical debate about human enhancement. Memory can be differentiated into at least four major (and several minor) systems with largely dissociable (i.e., non-overlapping) neural substrates. We outline each system, and discuss both the practical and the ethical implications of these diverse neural substrates. In practice, distinct neural bases imply the possibility, and likely the necessity, of specific approaches for the safe and effective enhancement of various memory systems. 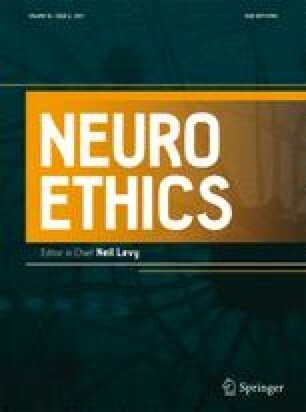 In the debate over the ethical and social implications of enhancement technologies, this fine-grained perspective clarifies—and may partially mitigate—certain common concerns in enhancement debates, including issues related to safety, fairness, coercion, and authenticity. While many researchers certainly appreciate the neurobiological complexity of memory, the political debate tends to revolve around a monolithic one-size-fits-all conception. The overall project—exploring how human enhancement technologies affect society – stands to benefit from a deeper appreciation of memory’s neurobiological diversity.